Experience the sophistication of a luxury sedan with the practicality of an SUV in the Volvo V90. With the driving stance of a sedan and the cargo space of a crossover, the V90 is enjoyable to drive no matter where you go. 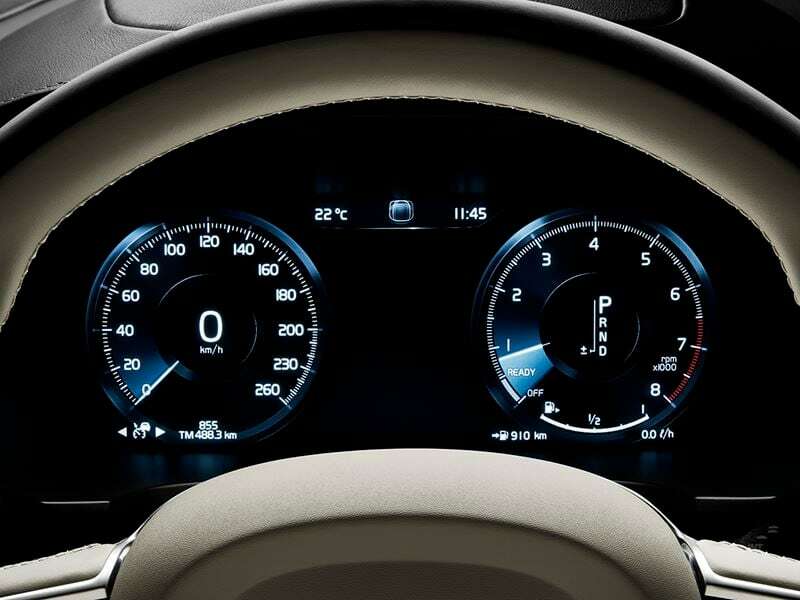 Generous power meets low fuel consumption thanks to the V90's advanced Drive-E powertrains. The V90 has five generous seats, so everyone sits in comfort. 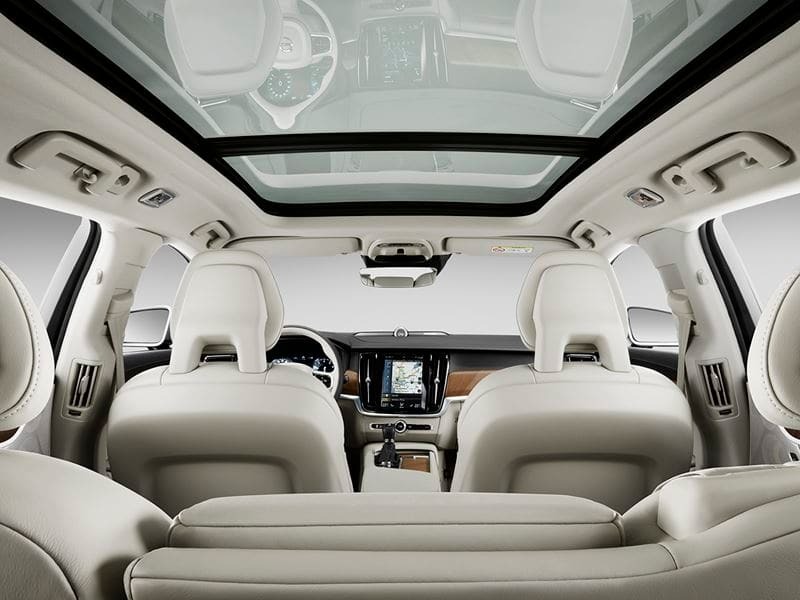 The standard Panoramic Moonroof bathes the cabin in natural light. Offering a large load compartment, split-folding rear seats, and a low roofline, the V90 makes light work of loading and carrying. Sporting style and spirit. Starting price from $51,450 MSRP. Premium style and sophistication. Starting price from $52,550 MSRP. Swedish luxury and elegance. Starting price from $53,450 MSRP. The ultimate Cross Country. Starting at $60,500. The V90 is a car of character and sophistication, balancing pure Scandinavian design with purpose. Its distinctive outline is reinforced by tail lights that frame the rear window. The impression is one of strength and solidity, with details that are subtle and distinctive. 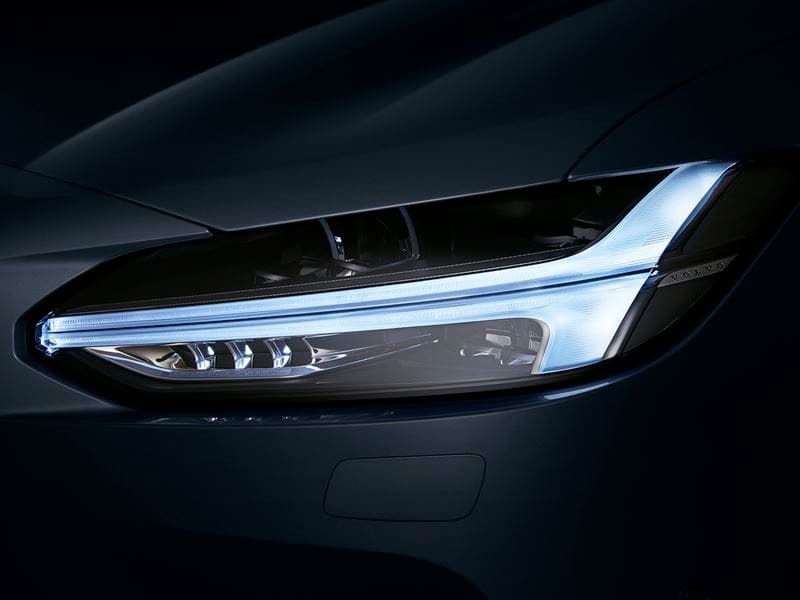 LED Headlights with our signature “Thor’s Hammer” daytime running lights give the V90 a strong identity, and give you clear vision at night. The V90 has a spacious and flexible interior that helps you live life to the fullest. By simply pressing a button, the 25.5 cubic foot load compartment increases to 53.9 cubic foot with backrest down. An underfloor compartment provides secure storage that locks with the tailgate. Thoughtful touches in the V90 make securing cargo simple with four lashing points, shopping bag hooks, and a bag holder that folds out of the floor, stops bags from sliding around the load compartment. Engineered to strike the perfect balance between comfort and precision, the V90 is a car to be enjoyed. Four Drive Modes means different driving experiences to fit the mood and road ahead. Select from comfort, dynamic, eco, or create a drive specific to you with the individual mode. Interacting with the V90 is easy thanks to our intuitive 9-Inch Sensus Touchscreen. Its portrait format makes reading information and maps easier, and it means less scrolling. The V90's technology makes your ride more enjoyable and relaxing. The Digital Driver Display puts important information directly in front of you, and will automatically adjust brightness to the surrounding light conditions to reduce strain on the eyes. Heads-Up Display projects information onto the windshield so there is no need to take your eyes off the road. Voice Control allows you to operate climate control, navigation, media, and phone using natural speech and without the need to use set phrases or commands. 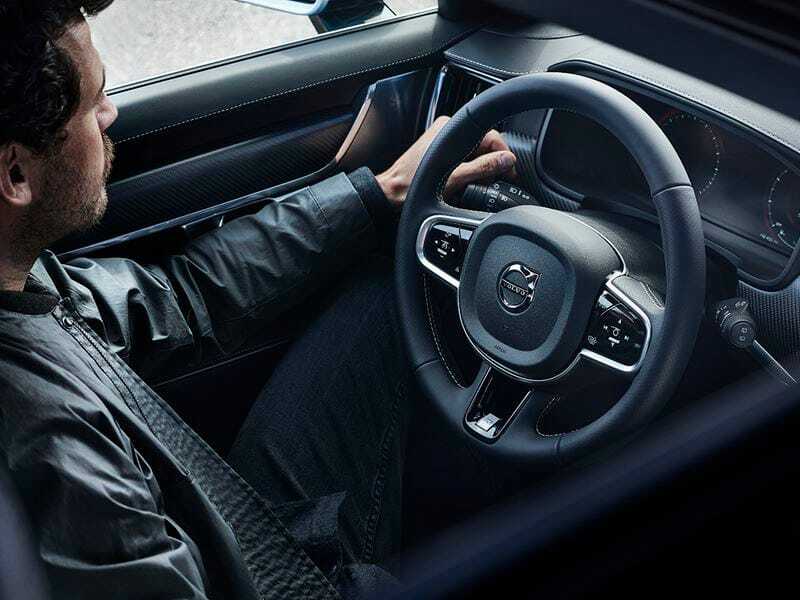 Pilot Assist helps reduce the effort of driving in heavy traffic, by keeping the V90 at a set speed and distance to vehicles in front, and using steering input to keep you in the center of your lane. 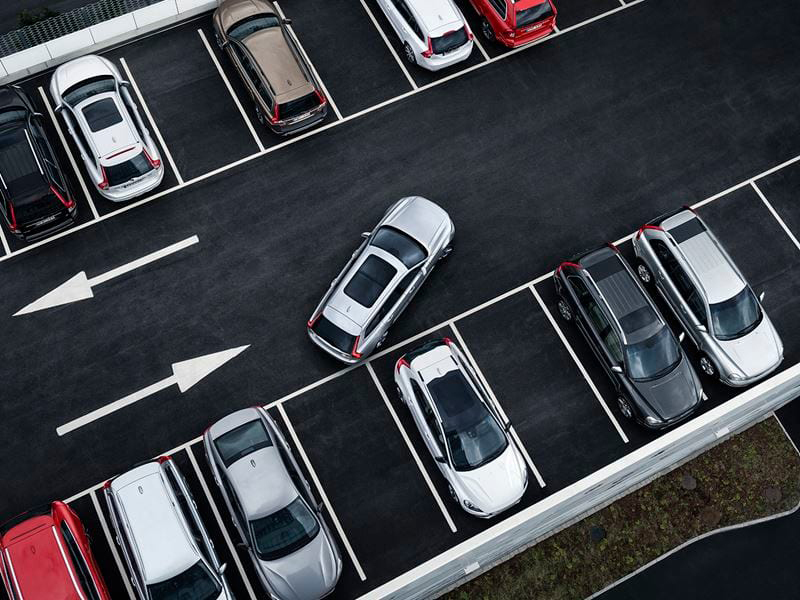 The 360˚ SurroundView Camera available for the V90 assists to make parking easier by giving you a bird's-eye view of your car and the immediate surroundings. The surround view from the four wide-angle lens cameras appears on the center touch screen and available at speeds up to 8 mph. Park Assist Pilot lets the V90 Cross Country do the hard work when it comes to parking and features sensors that can help steer the car into a parallel space just 1.2 times the length of the car. Safety is always a top priority for Volvo. The V90 is a safe space for your and your passengers. 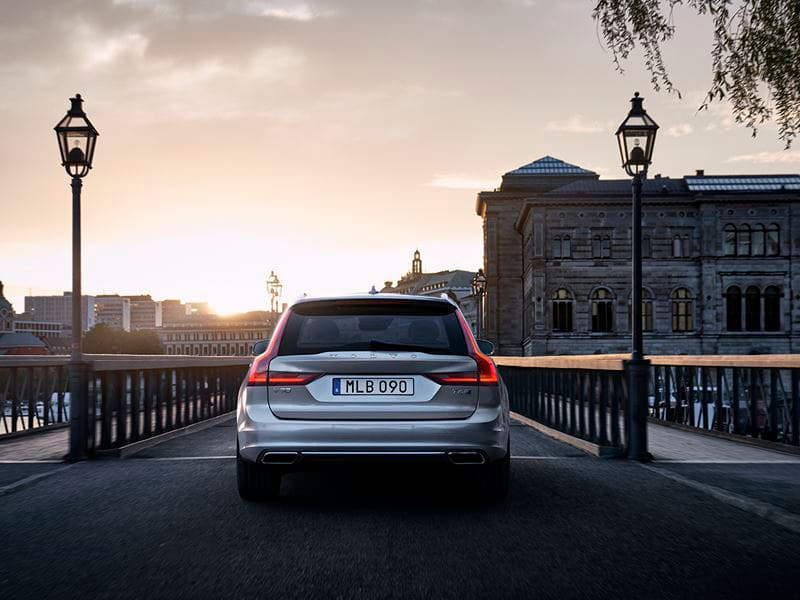 City Safety helps protect people inside and outside the V90 by looking out for potential danger. Radar and camera technology works to identify hazards such as other vehicles, cyclists, pedestrians and large animas both during the day and at night. Run-Off Road Mitigation works to make accidents where the vehicle leaves the road less likely to happen. If a vehicle does leave the road, Run-Off Road Protection reduces the chances of serious injury. You can expect a transparent process where we will provide clear, uncomplicated answers. With your Volvo Lease or purchase, enjoy a complimentary 3 year/36,000 mile factory maintenance plan. "Excellent buying experience. They were knowledgeable and helped me sift through the options list to find the right car for me." Are you looking to purchase or lease a Volvo V90 in the Orange County, CA area? Southern California Volvo shoppers can expect to experience a New Standard In The Car-Buying Process at Volvo Cars Orange County. Our expert team of Volvo specialists are ready to assist you in finding the Volvo wagon you've been looking for, and can help you narrow down which Volvo V90 trim is best for you. Visit our Volvo Dealership in Orange County for a test drive, or browse our current inventory to find your new V90 luxury wagon! 2019 Volvo Volvo V90 2019 Explore the 2019 Volvo at Volvo Cars Orange County in Santa Ana, CA, proudly serving the Orange County Region. Schedule a test drive and see our V90 inventory and offers today!